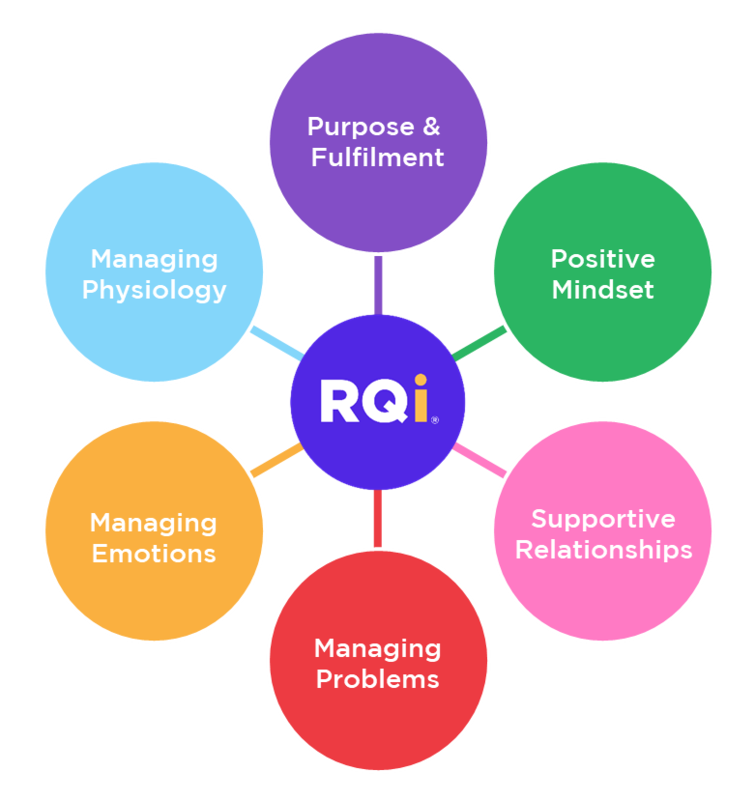 The Resilience Quotient Inventory™ (RQi™) is a new psychometric tool that provides a detailed measure of resilience for individuals and teams. It measures a range of characteristics that enable people to cope well under stress and bounce back from adversity. Users complete a secure online questionnaire and receive a 26-page report with personal scores and recommendations for building even greater resilience. The RQi™ is based on an evidenced-based model of resilience: The Six Elements of Resilience (left). The Elements (or composite scales) are further sub-divided into 26 sub-scales, providing the most detailed measure of resilience available anywhere in the world. The RQi™ uses psychometric scales developed by leading psychologists from around the world along with new scales (e.g. for Work Engagement and Perseverance) developed by Dr Matthew Critchlow (Thrive and University of Westminster) and Dr Julian Edwards (Open University). Users complete a secure online questionnaire and receive a 26-page personalised report in which their own scores (across seven composite scales and 26 sub-scales) are compared to a sample population of working adults in the UK. 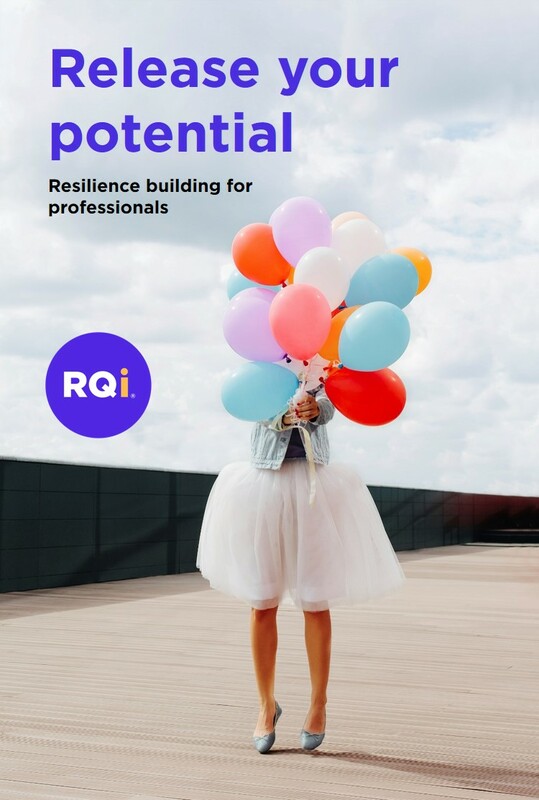 The RQi report also provides tailored guidance on how to build even greater resilience; users get access to unique resources available on the Thrive e-learning portal via a secure account. We can provide comparator data with different groups, including middle and senior managers in different sectors. The RQi™ is already being used by leading employers and key opinion leaders in the UK including the Home Office, the Royal College of Psychiatrists, the Crown Prosecution Service (CPS), the Royal Bank of Scotland and Experian. We run a two and a half-day RQi Practitioner Course for people who want to use the RQi with their clients. This course is for experienced coaches, Occupational Psychologists and other learning and development (L&D) professionals with responsibility for employee wellbeing and development. To find-out more about the Practitioner Training, please email: matthew@thisisthrive.com or call 0800 471 4734. *The data quoted above is an analysis is based on a representative sample of working adults in the UK (n = 507) who completed the RQi between Oct-Dec 2015 and compares top quartile v. bottom quartile ranked on 8 RQi sub-scales: Meaning and Purpose, Perseverance, Engagement, Learning and Growth, Optimism, Self-Confidence, Personal Control and Self-Compassion.